Vintage Gardens, the home of Redwood Cafe, has been helping people from the Central Valley celebrate for a little over two decades. 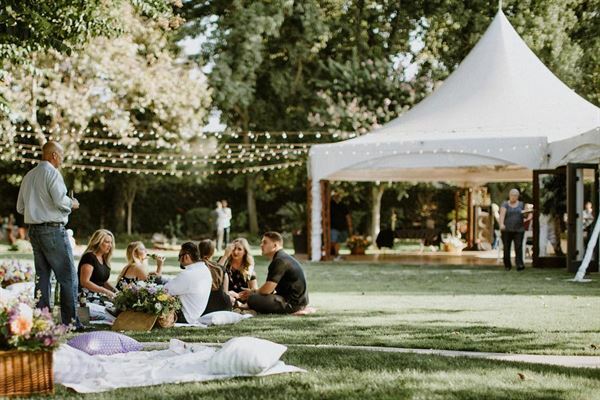 Countless couples have launched their dreams of family and community on the beautiful grounds of Vintage Gardens. They have shared their most significant commitments and achievements with their friends, families, neighbors, and community here with us. Here at Vintage Gardens, we pride ourselves on being a "one-stop shop" kind of place. We provide all the tables, chairs, linens, napkins, set-up and clean-up of your event, a stocked bar with a bartender and much more!